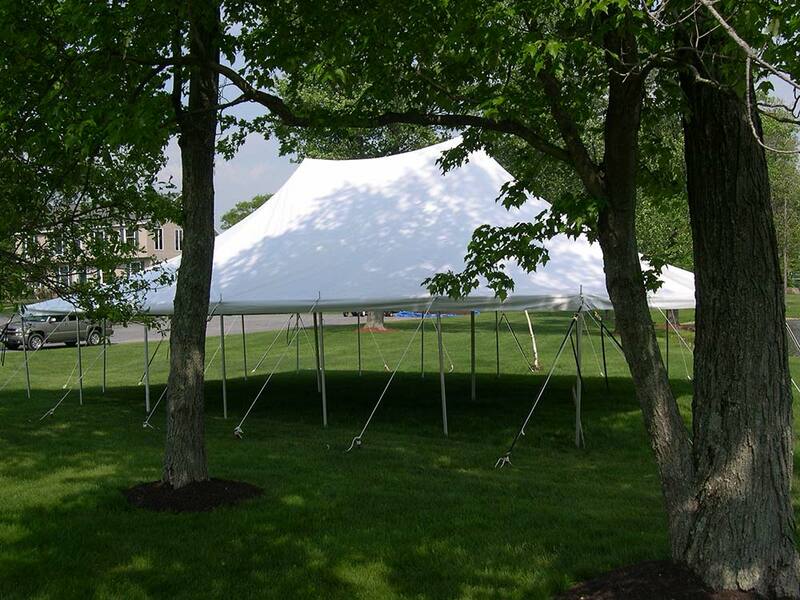 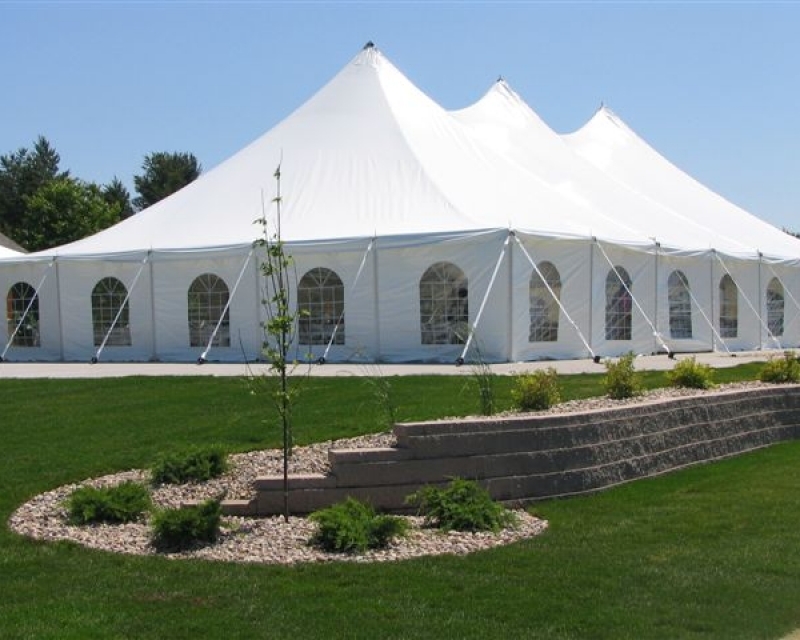 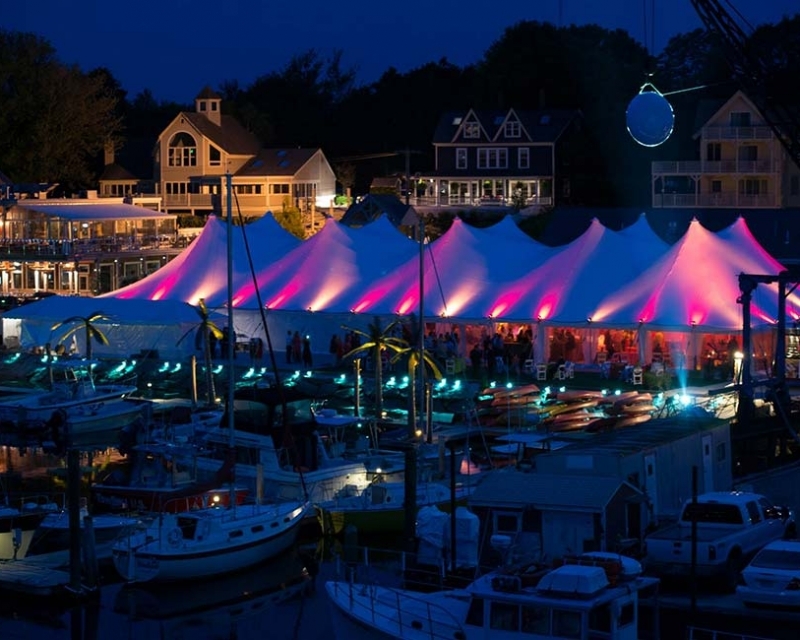 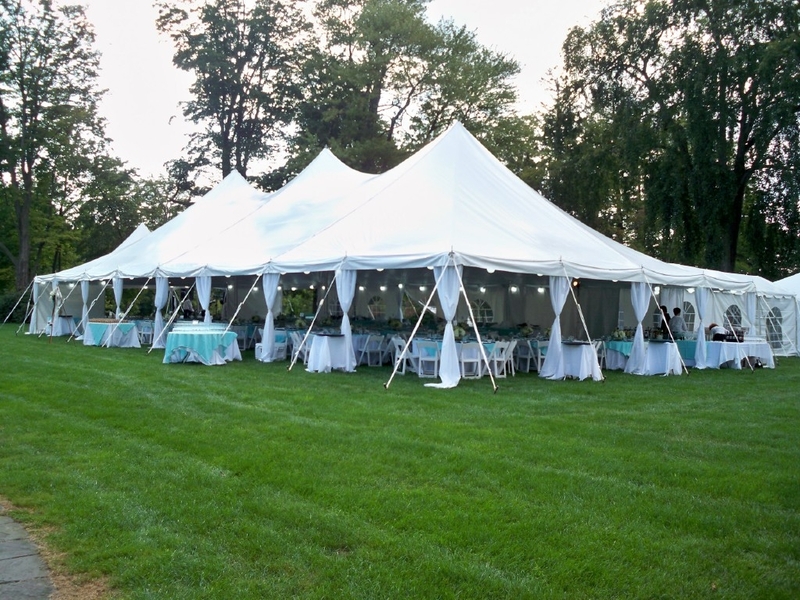 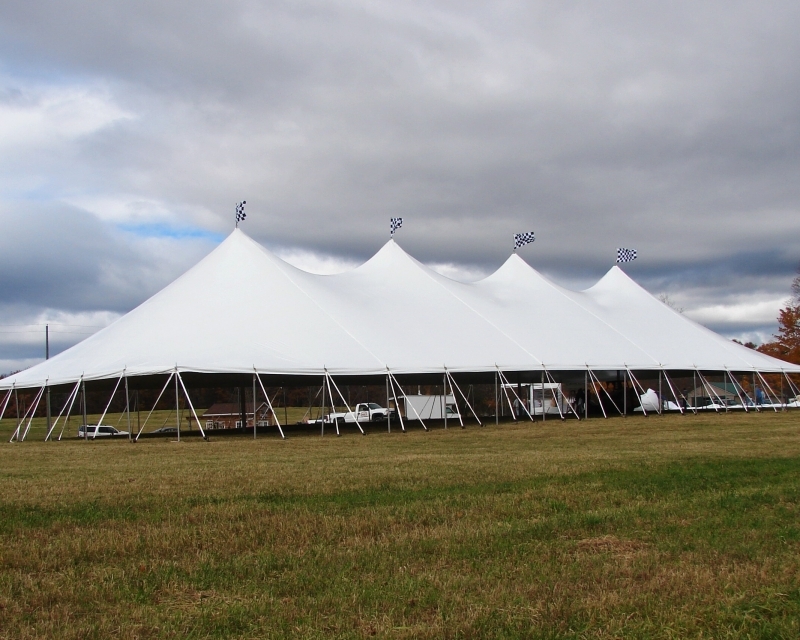 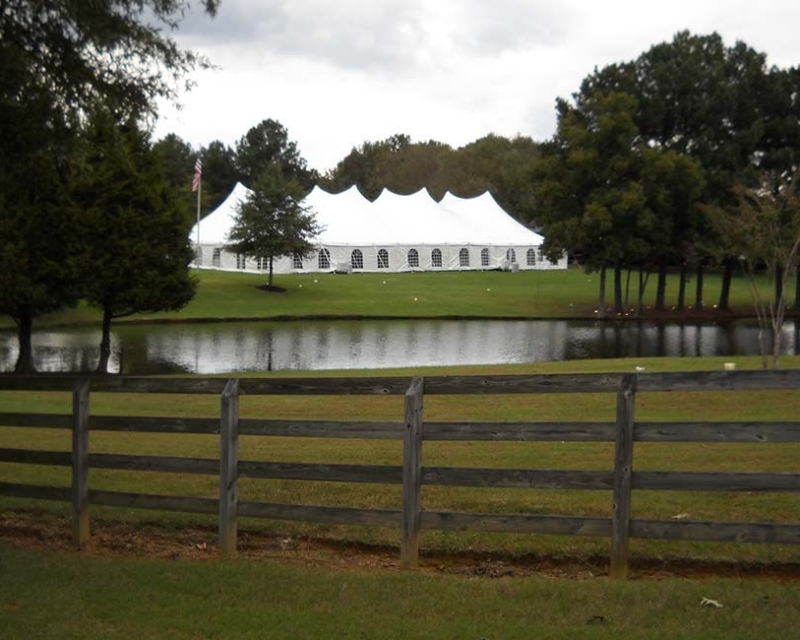 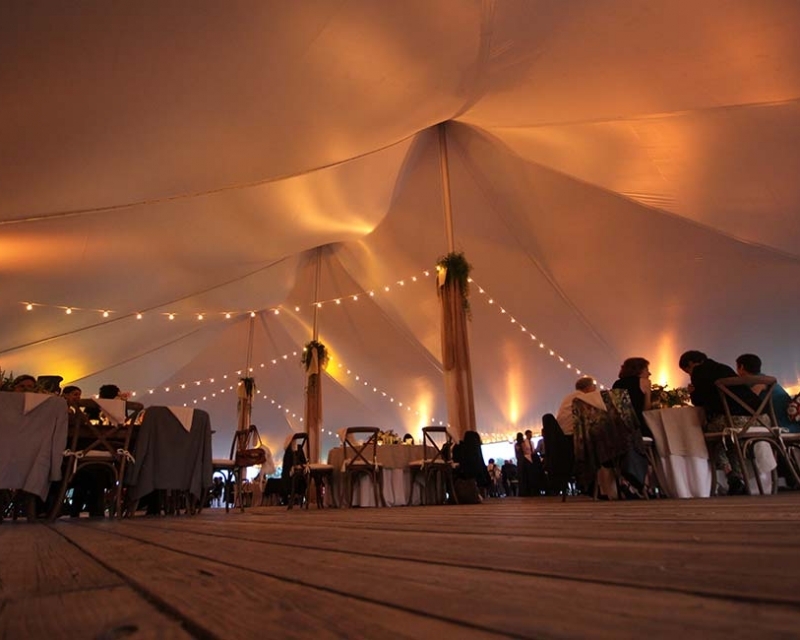 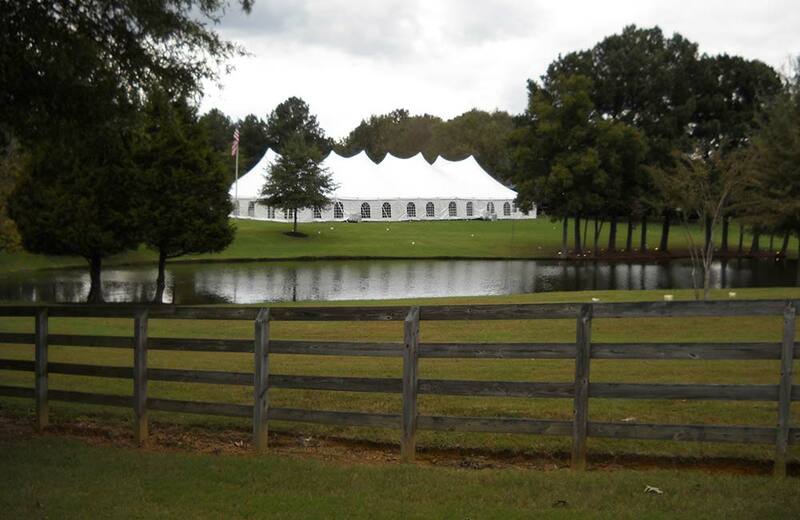 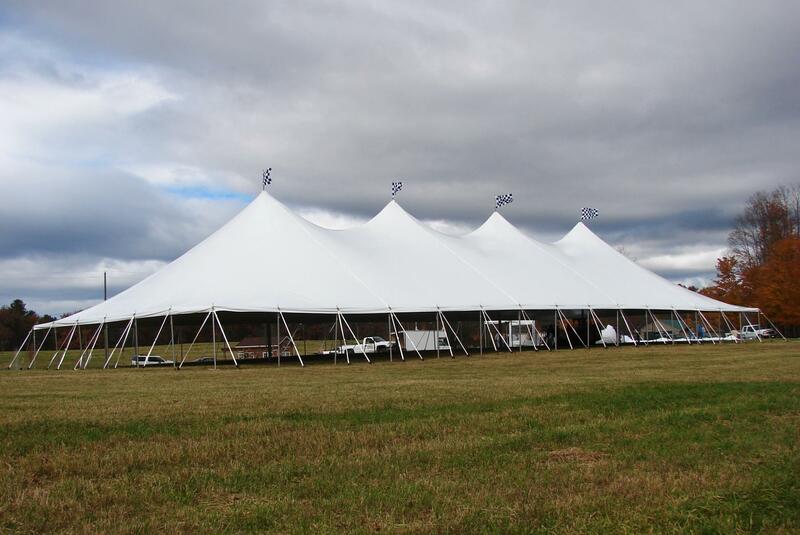 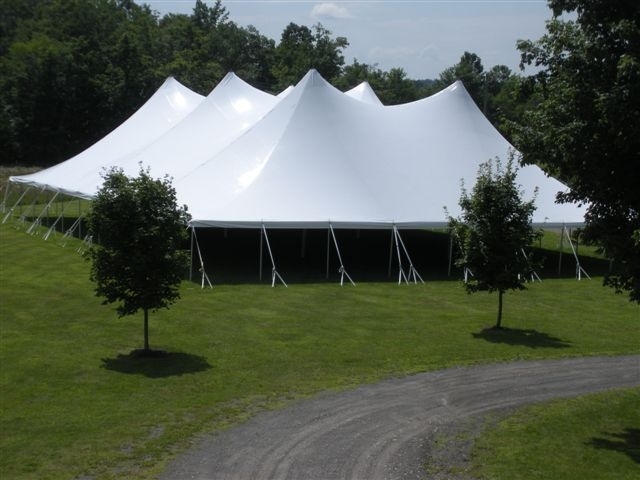 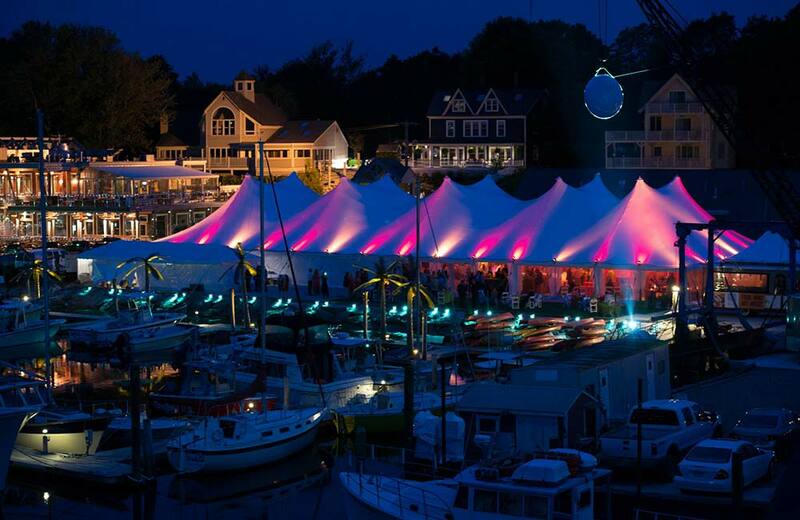 Manufactured Pole Tents are a staple in the event rental industry due to their ease of transport, set up, and take down. 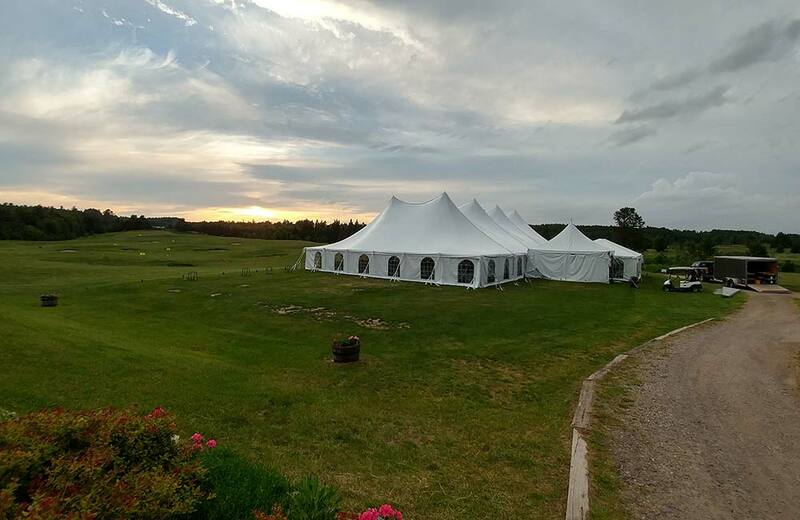 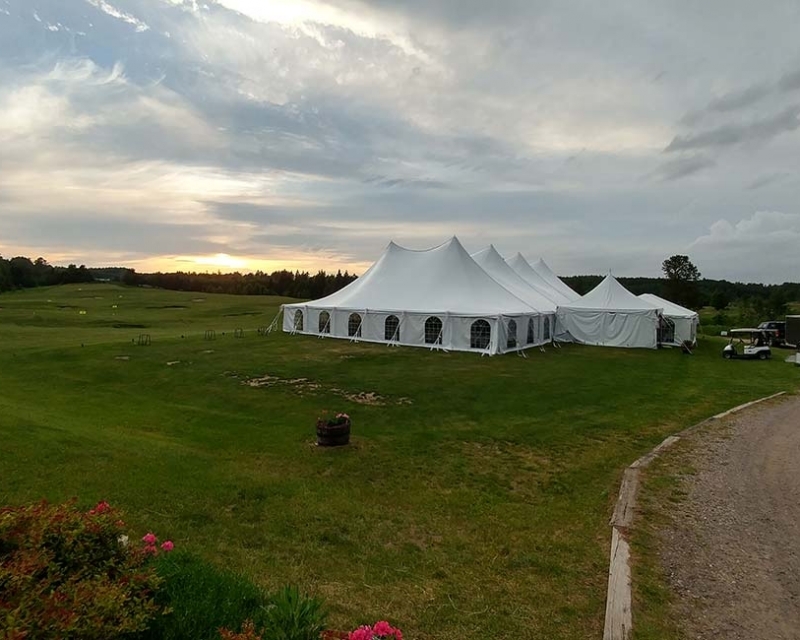 Our pole tents are versatile enough to meet the demands of almost any event and durable enough to hold up for years to come. 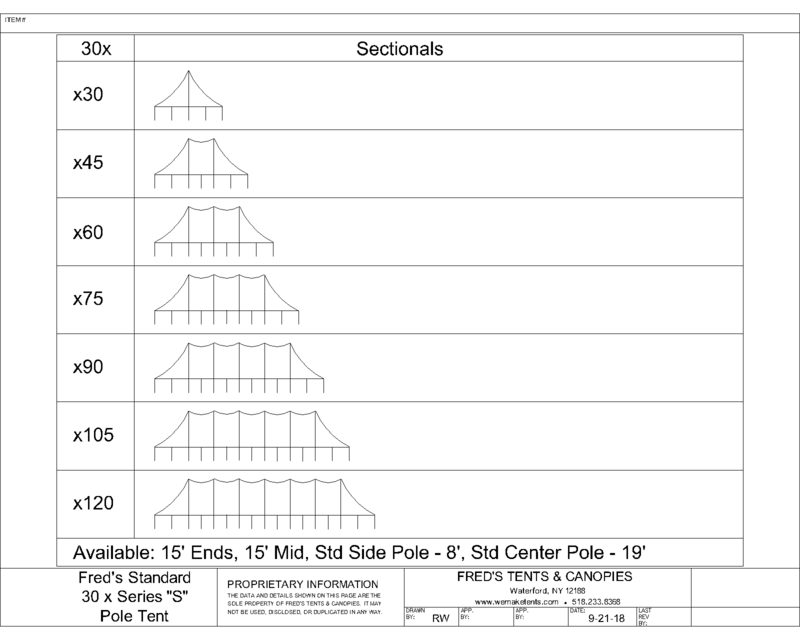 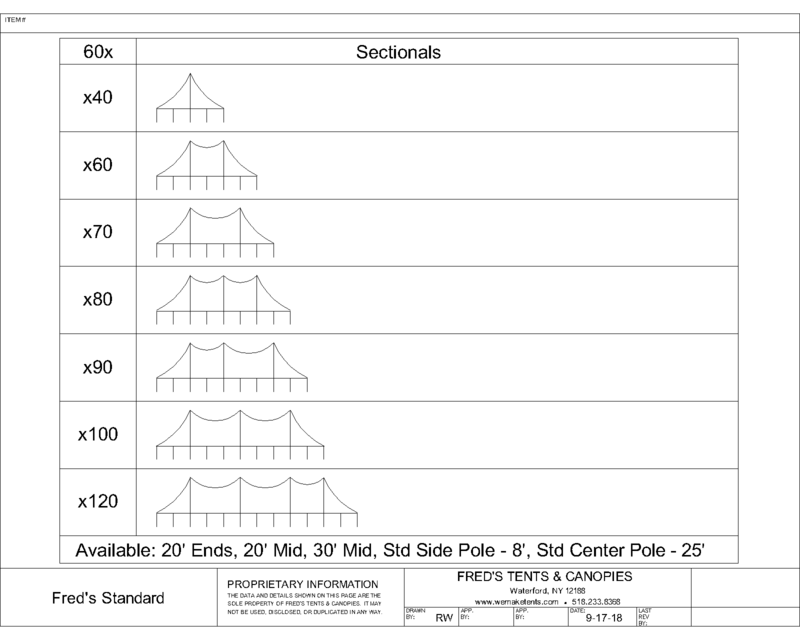 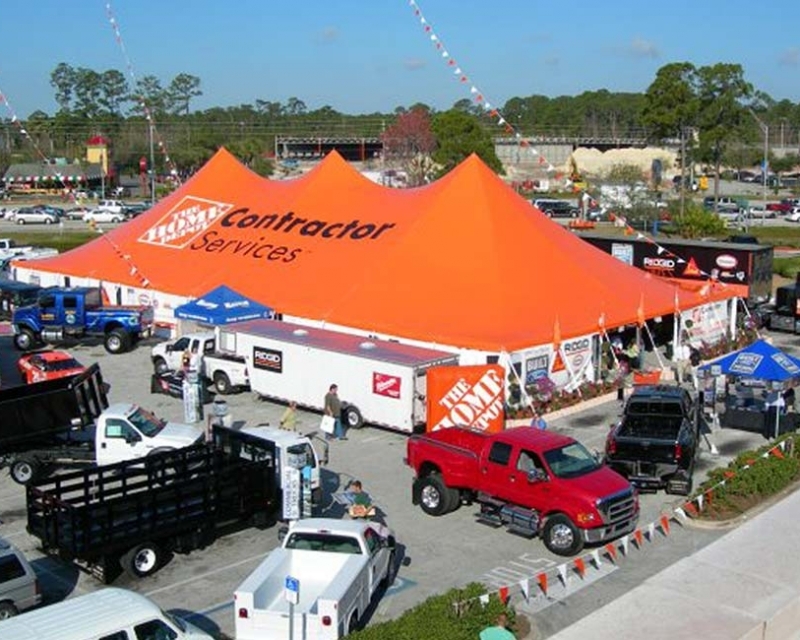 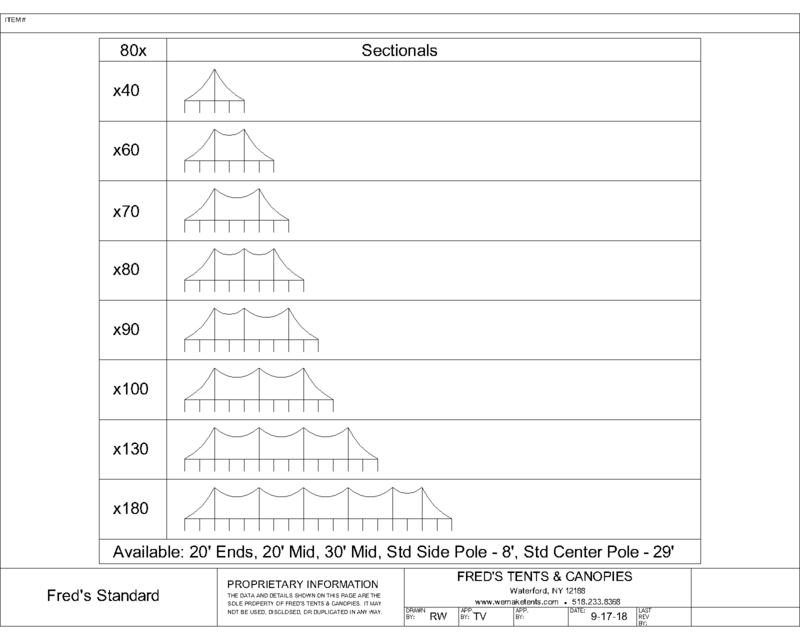 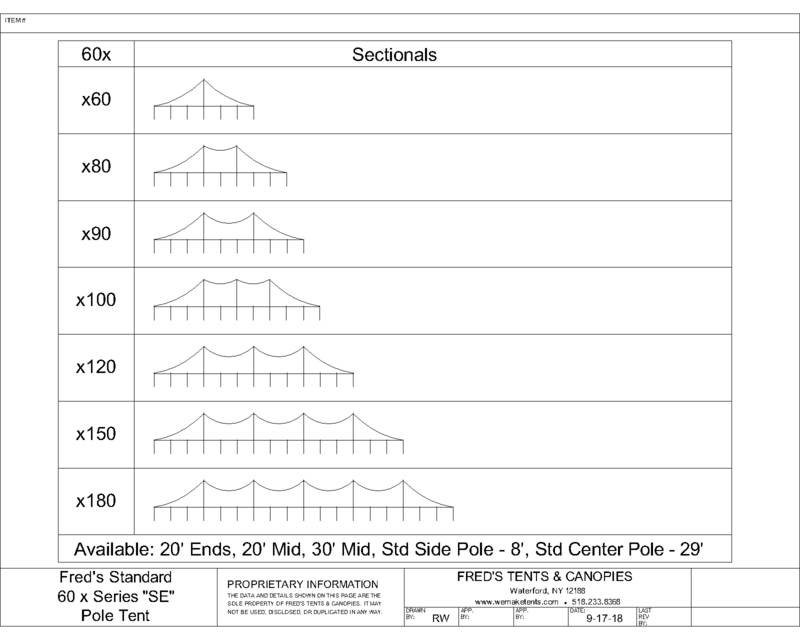 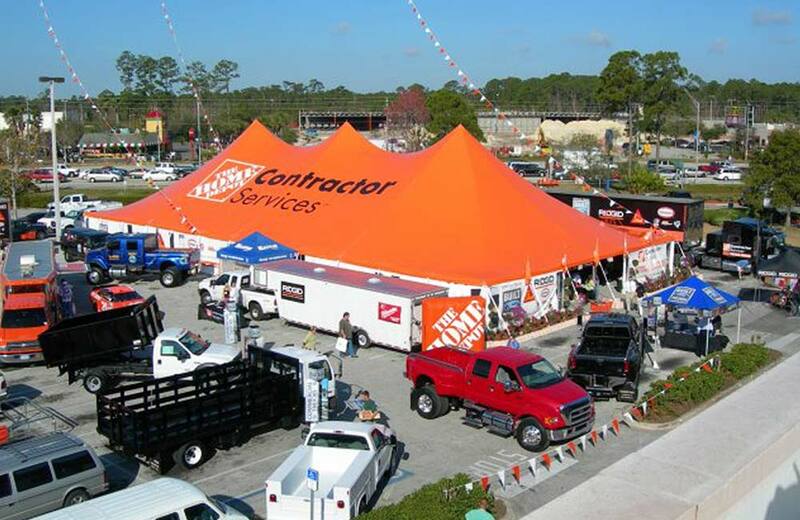 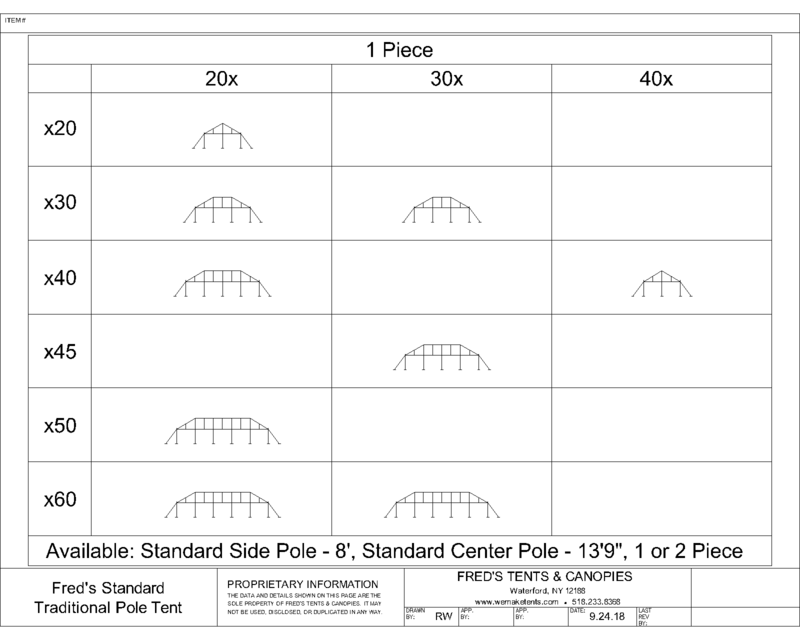 Fred’s Tents & Canopies has been a top pole tent supplier for over 30 years. 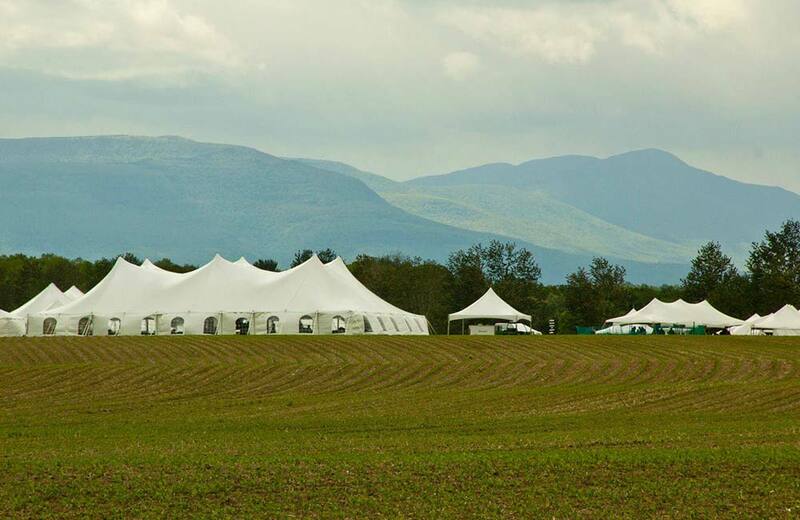 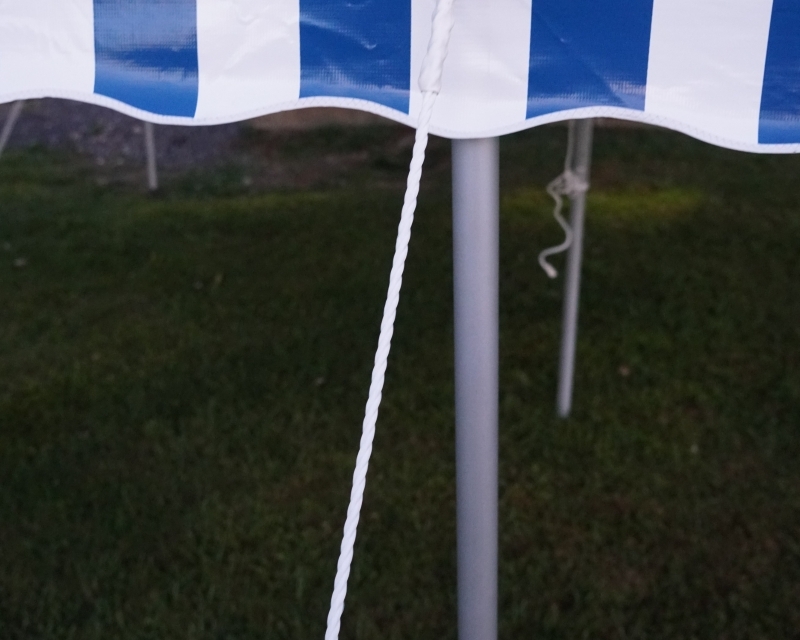 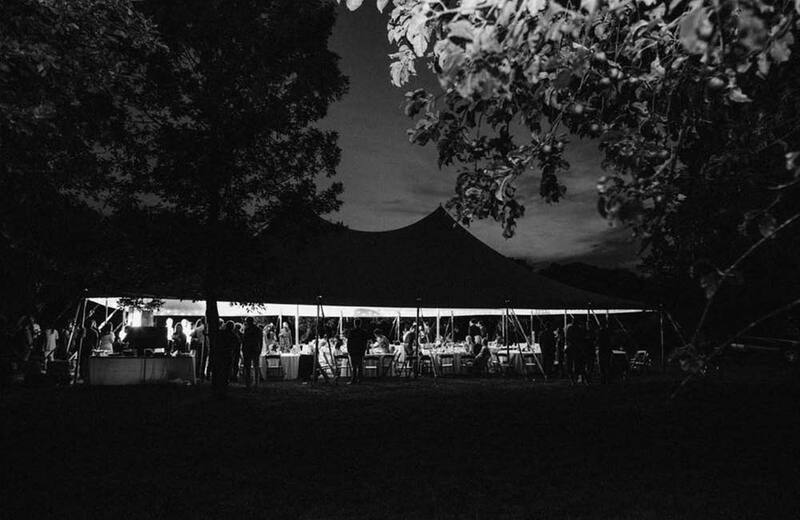 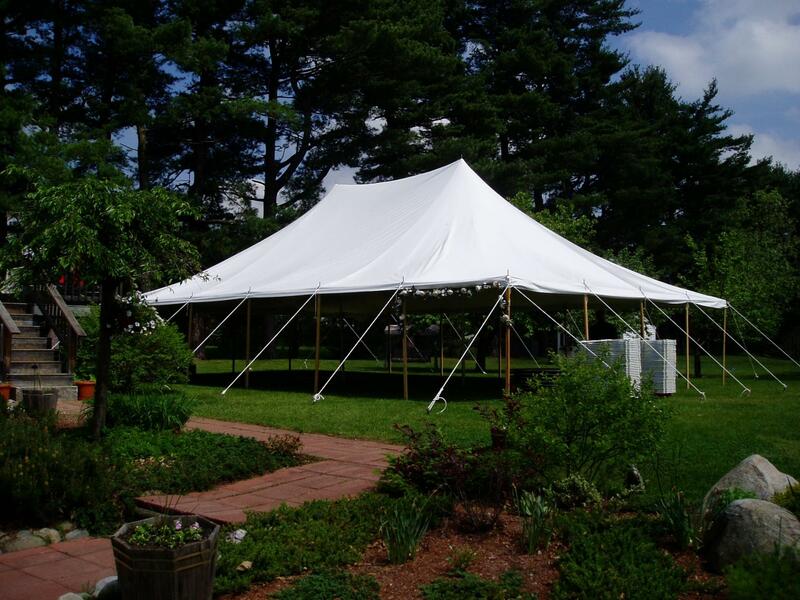 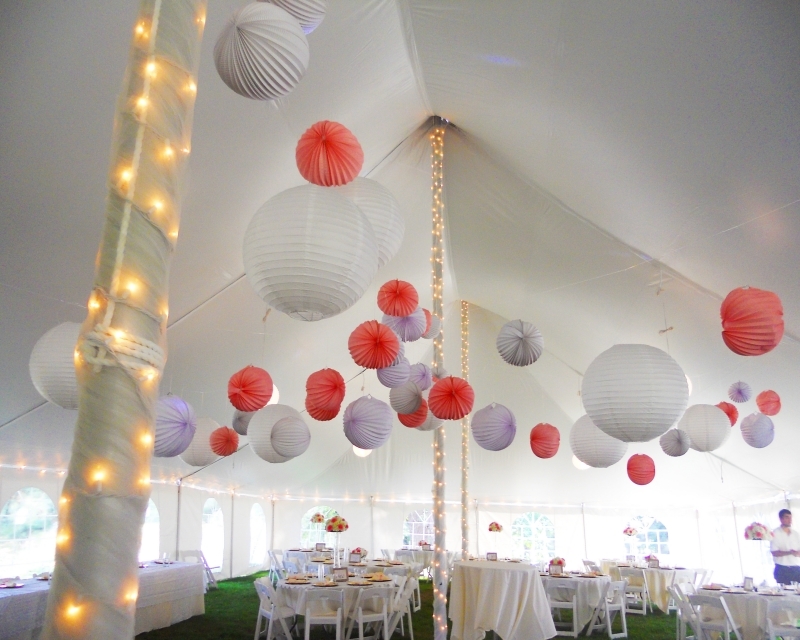 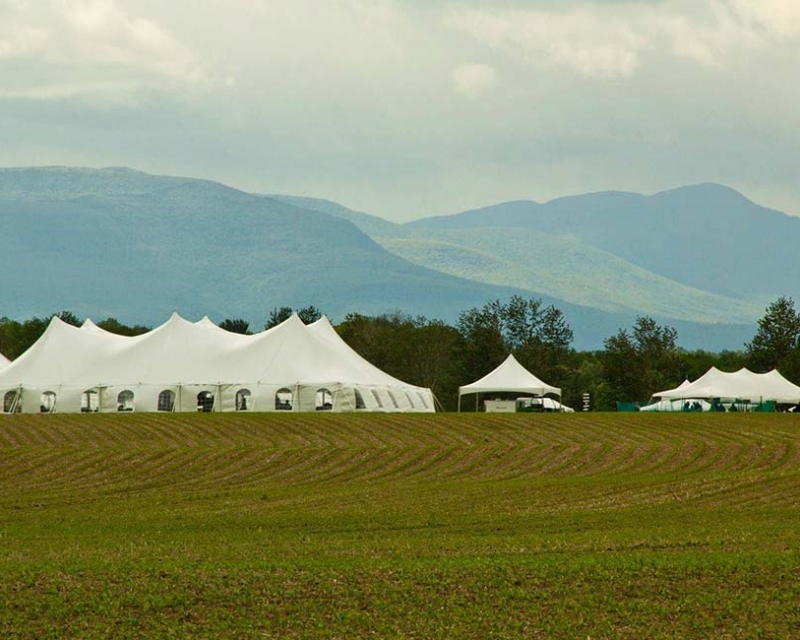 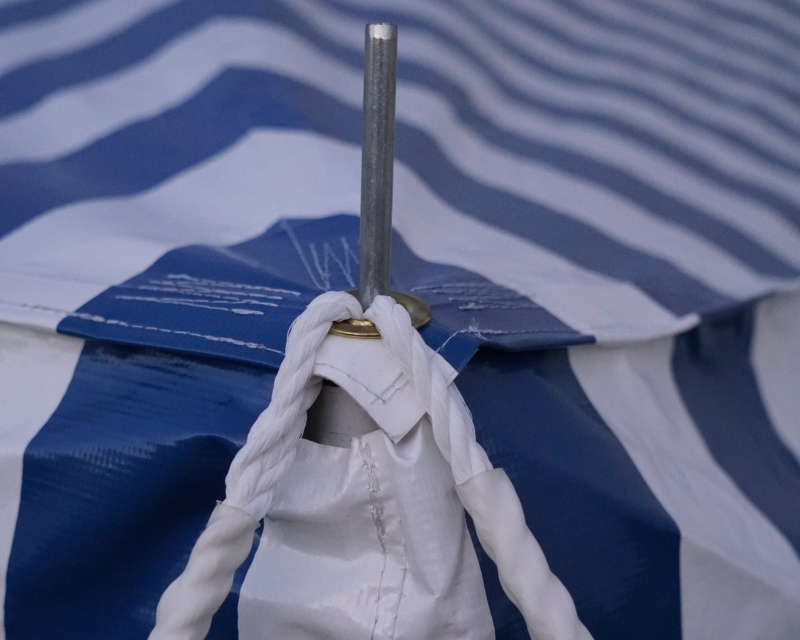 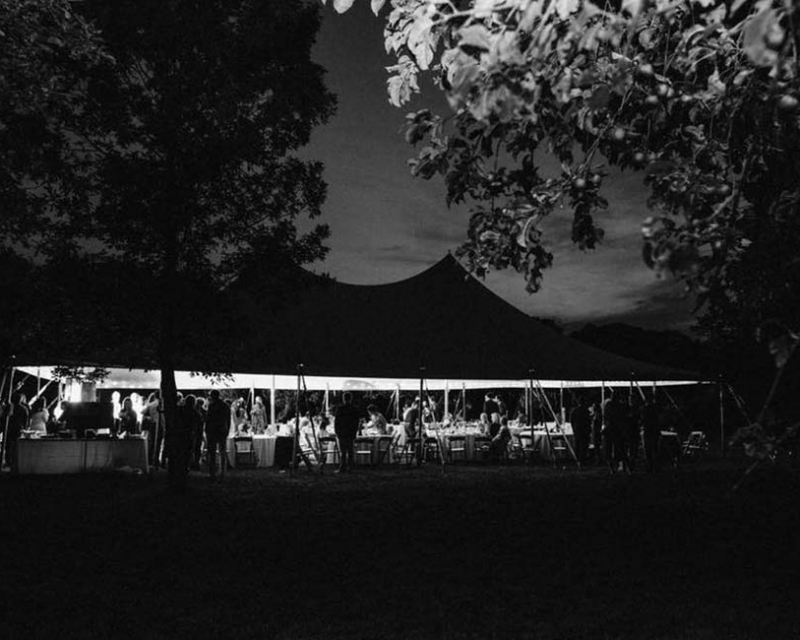 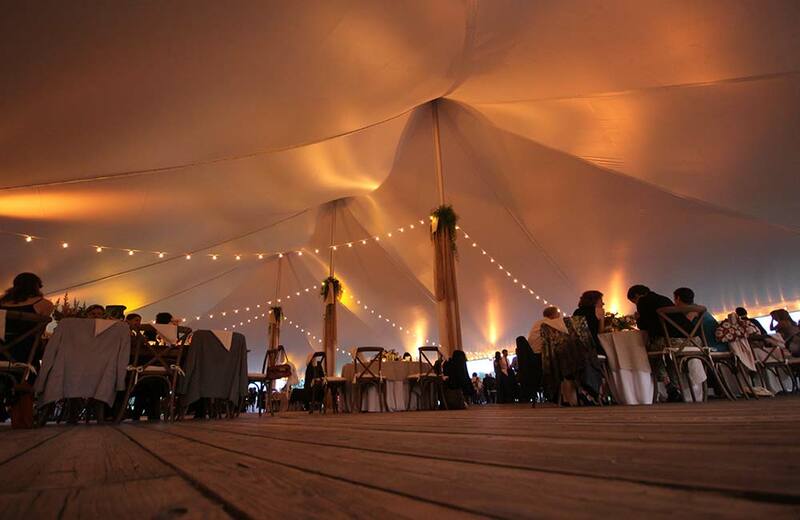 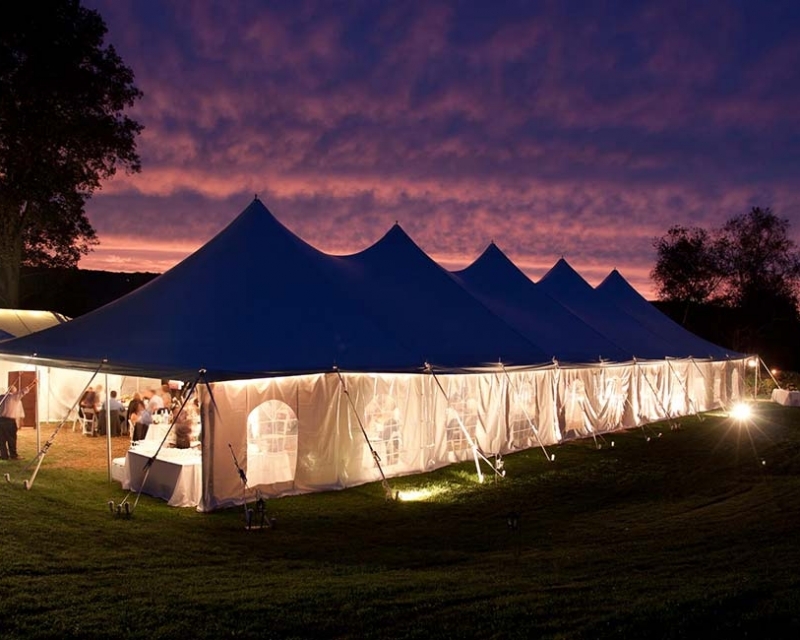 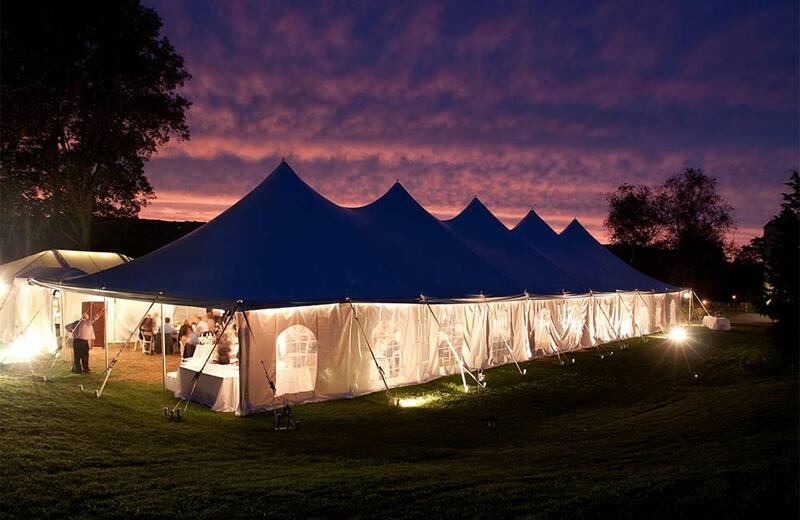 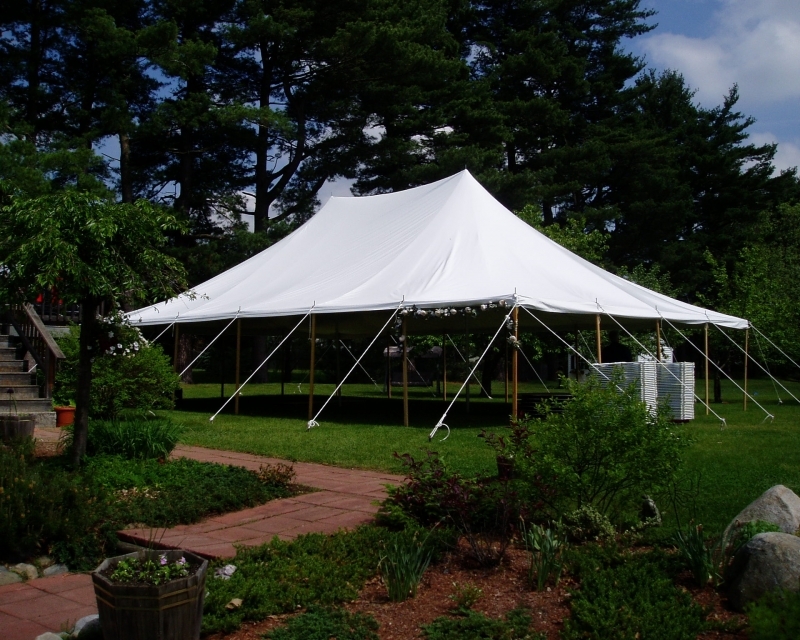 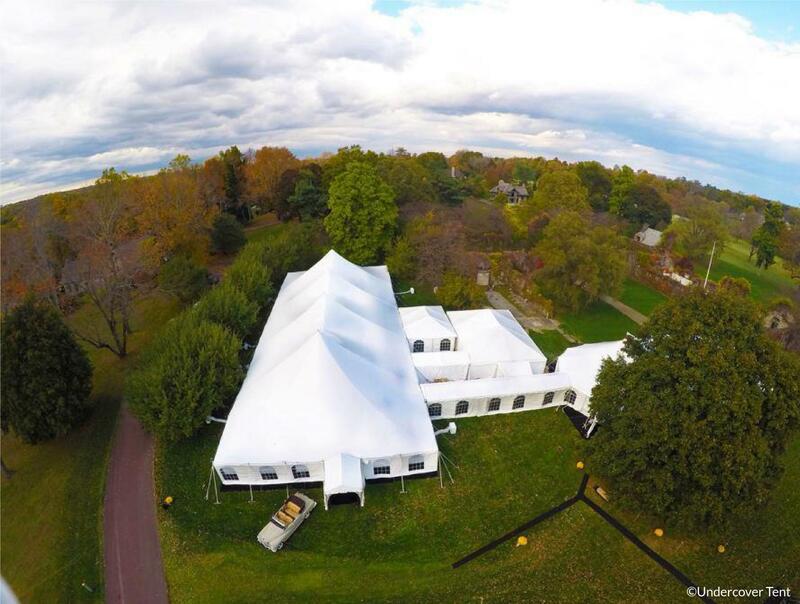 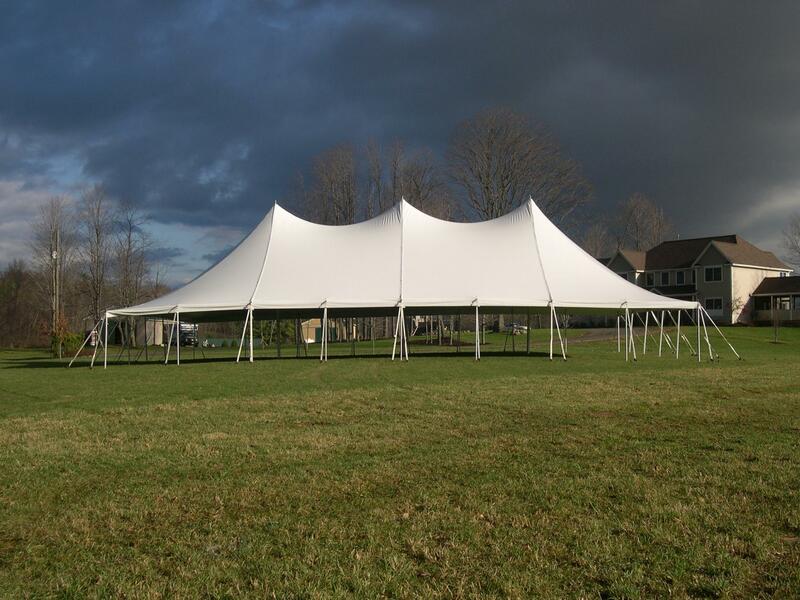 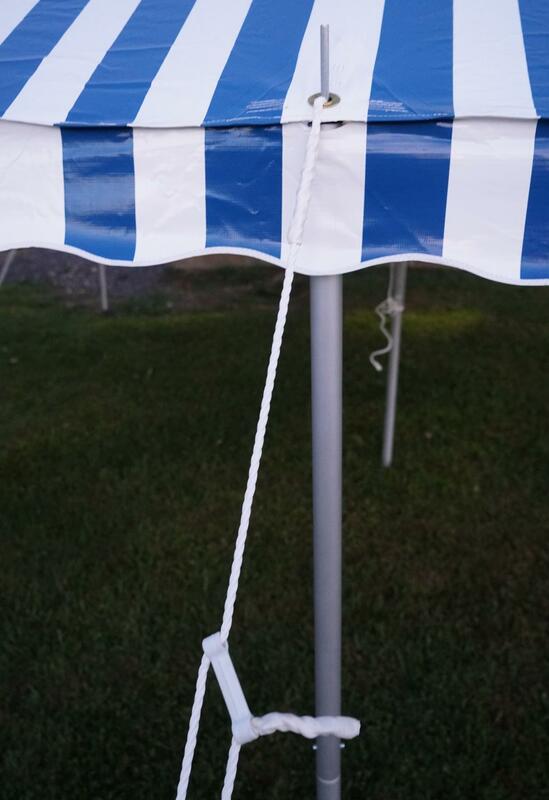 Manufactured in the United States, our pole tents offer a classic design customers love. 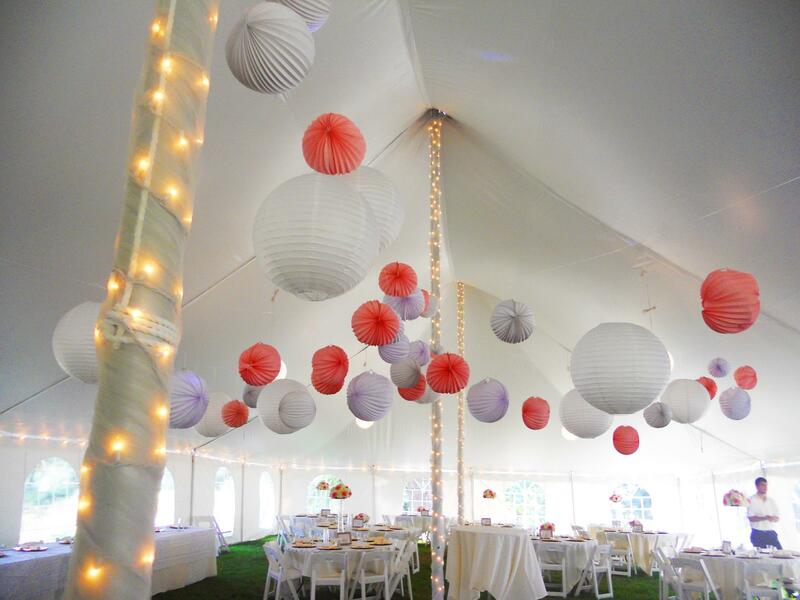 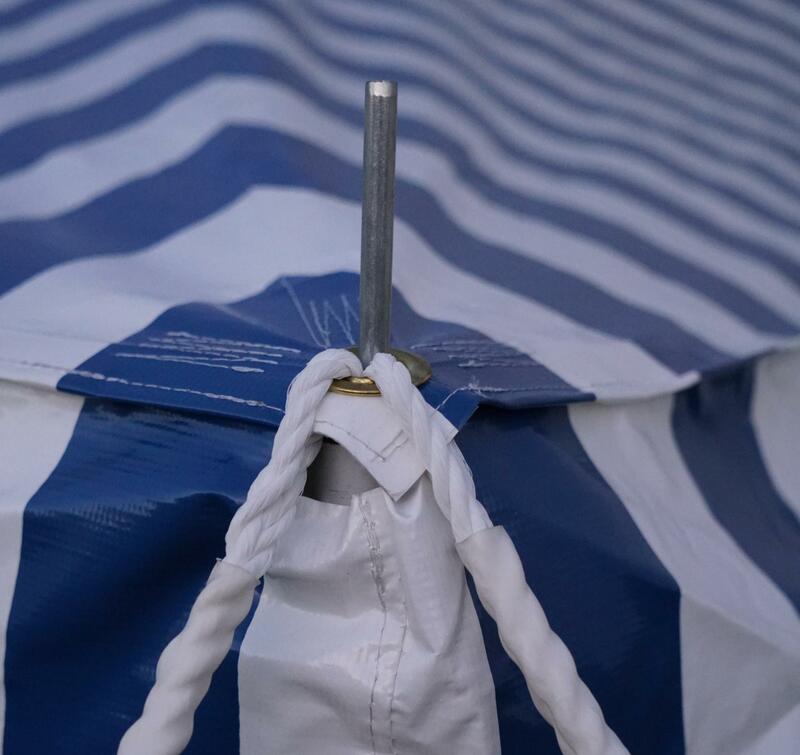 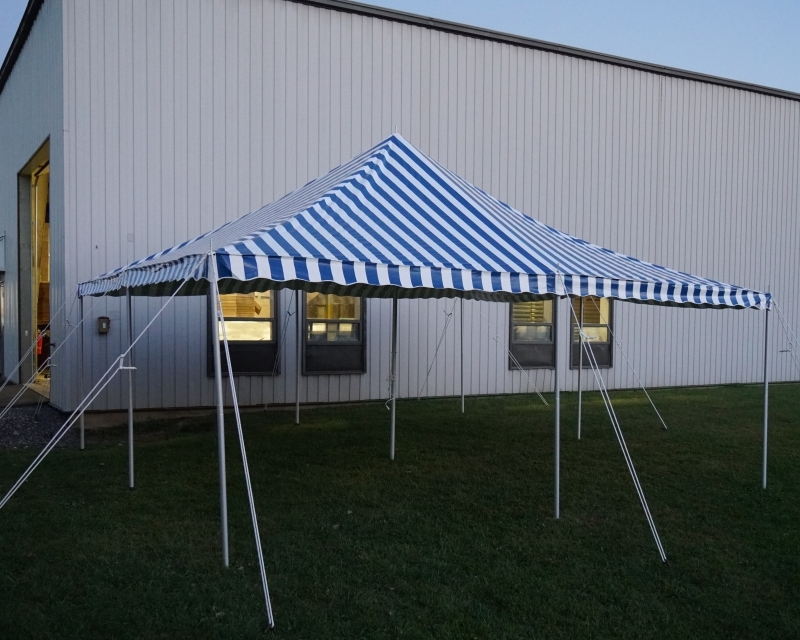 While white is our most popular color choice, we can also produce pole tents and canopies in a variety of colors and stripes. 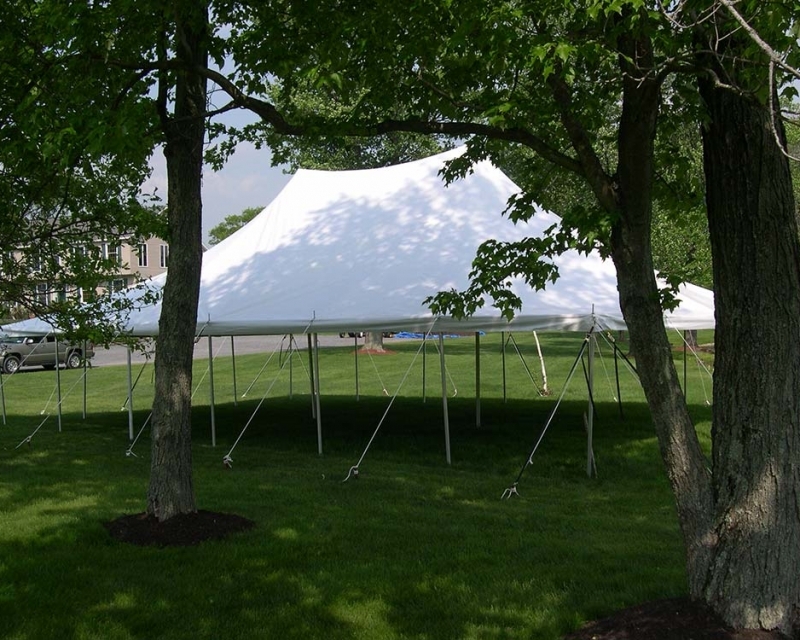 If you are looking to give your customers even further options, we offer additional features such as clear tops, round ends, wood-finished aluminum poles, and cathedral window sidewalls that are ideal for formal occasions. 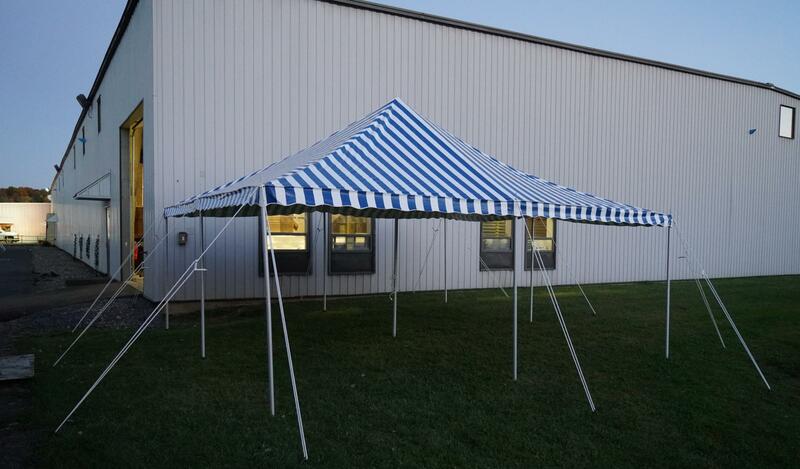 Browse our selection of pole tents for sale below and contact us with any questions or to place an order. 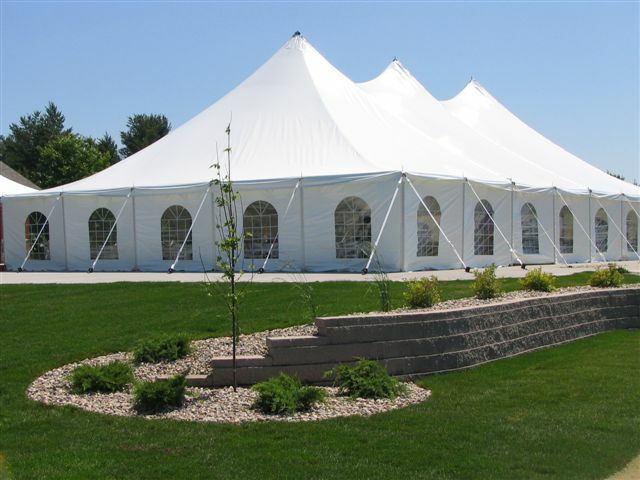 Our S Series offer a classic more affordable solution. 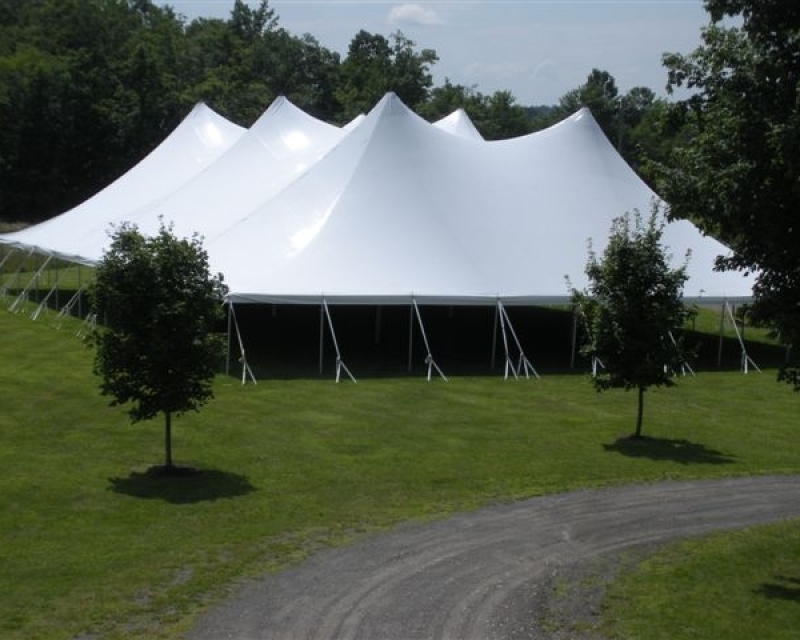 With its exemplary high peak look, the S Series Pole Tent will make any event stand out from the rest. 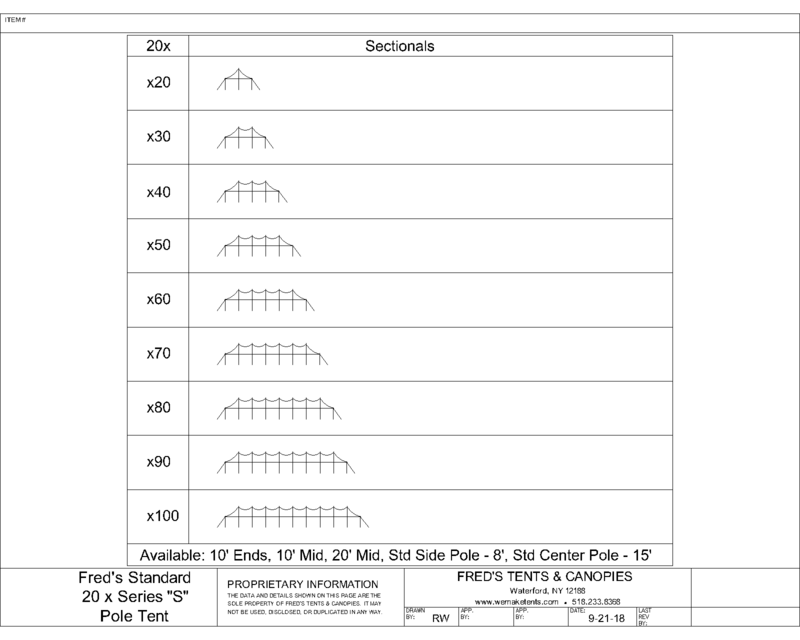 It offers the same great quality as the SE, but uses different hardware, poles and fewer stakes. 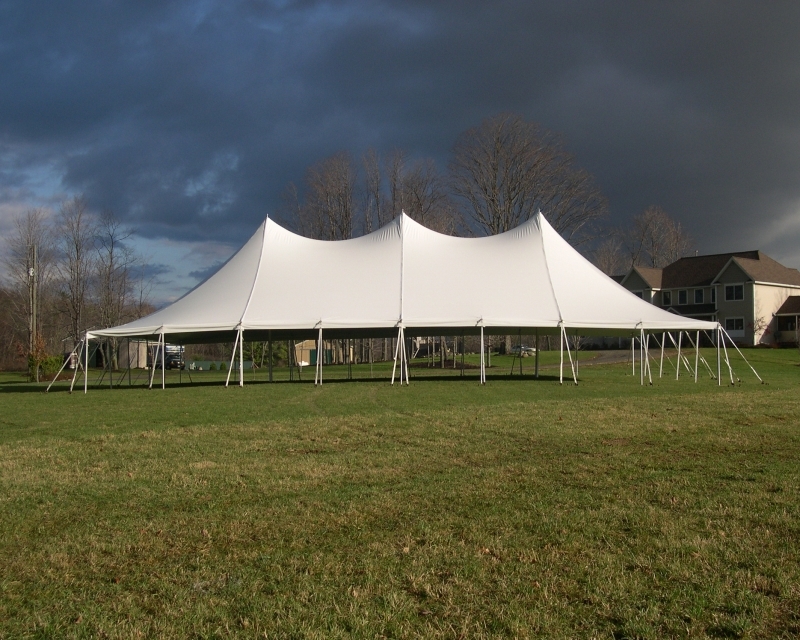 Our 20’, 30’, & 40’ Traditional Pole Tent is a classic design that has been a staple in the tent industry for decades. 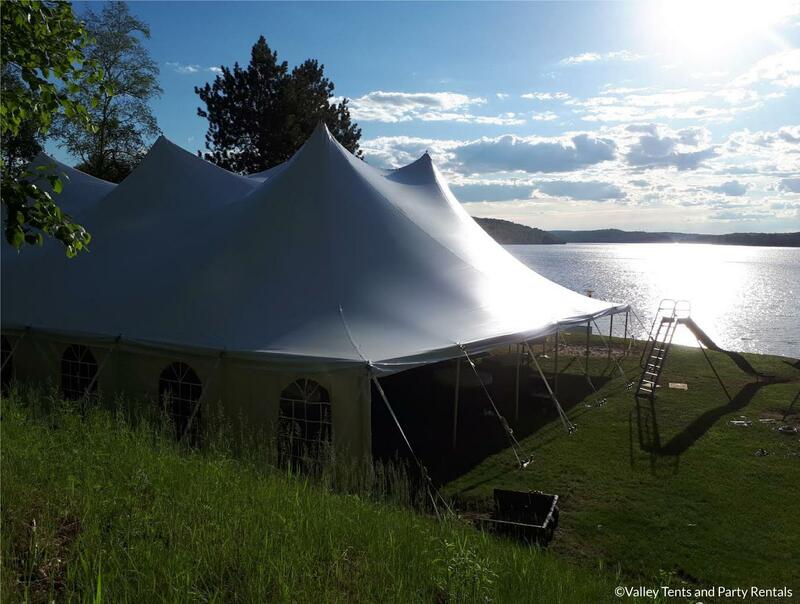 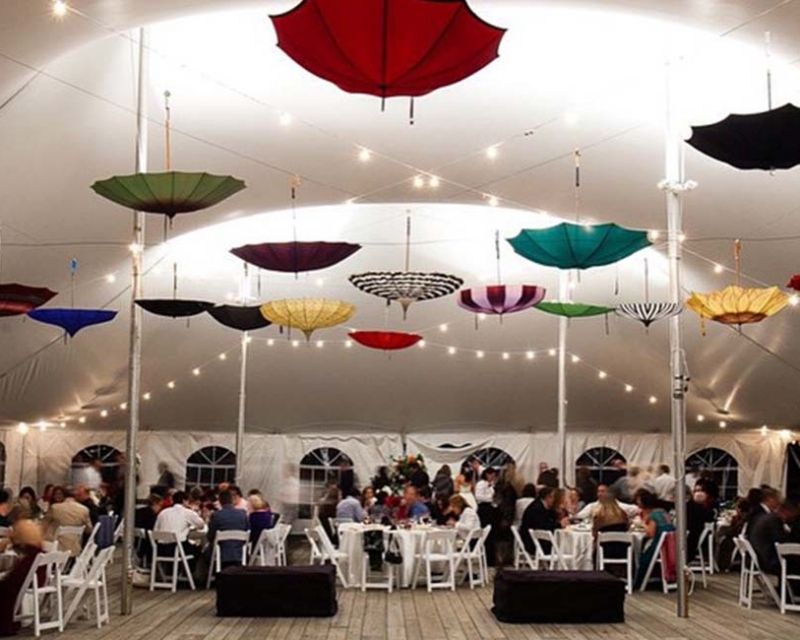 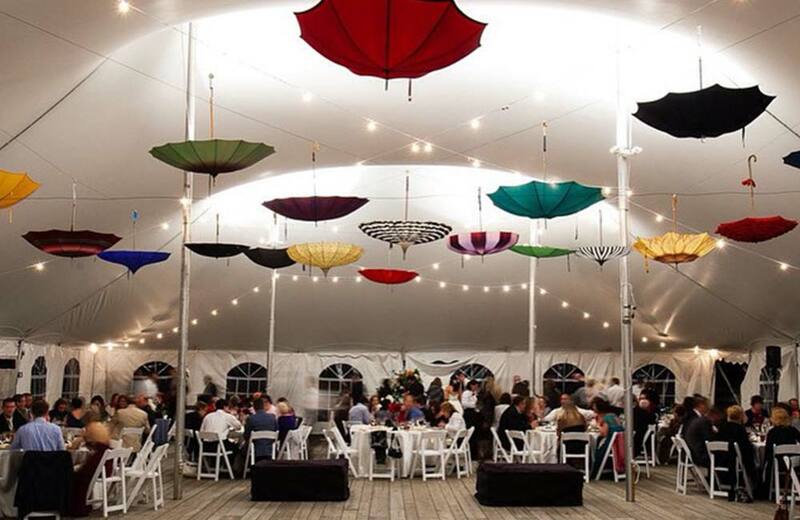 Perfect for festivals, backyard functions or community events, the Traditional Pole Tent is an efficient choice to cover your event. 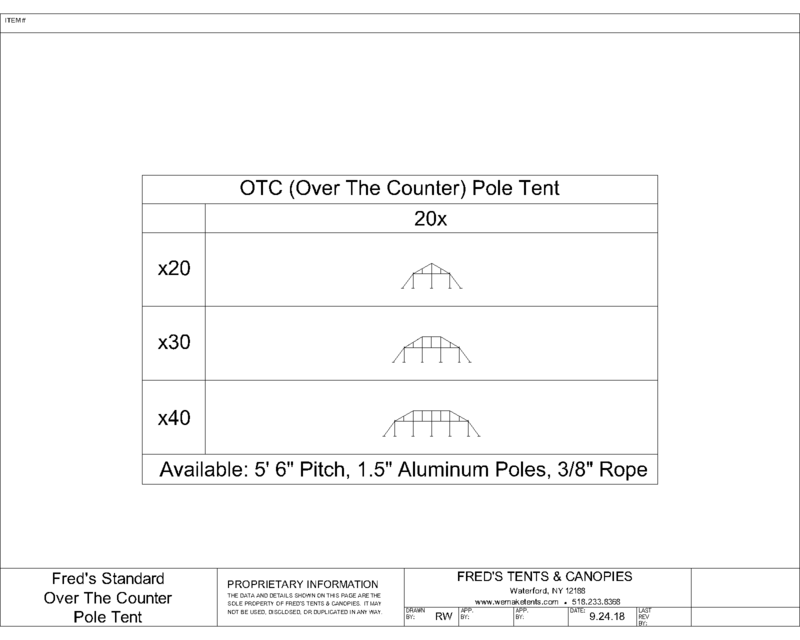 Fred’s Over the Counter pole tent is suitable for any backyard party, or smaller sized special function. 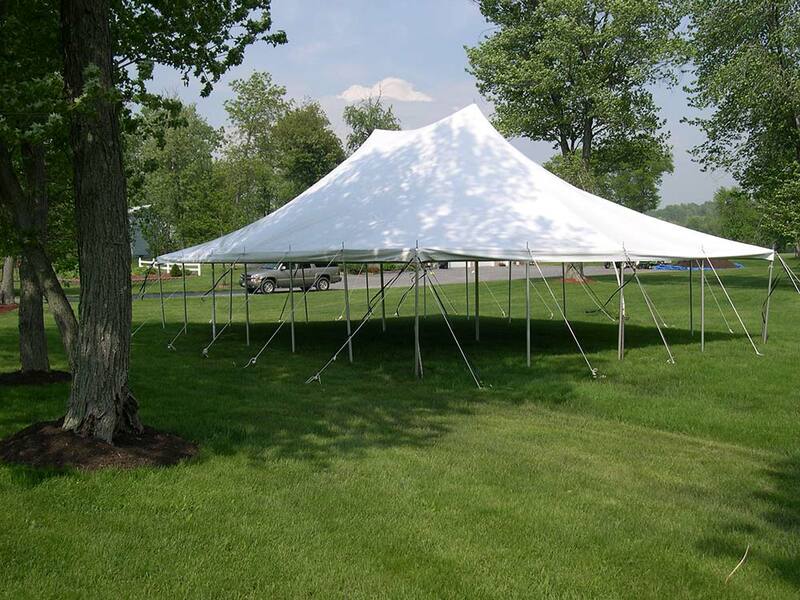 The top is made with flame retardant material, and the entire tent is easily transported in most medium sized vehicles, and only requires one to two people to set up. The unit remains an economical solution for just about anyone.